Making someone a birthday cake is a great way to let them know you care. 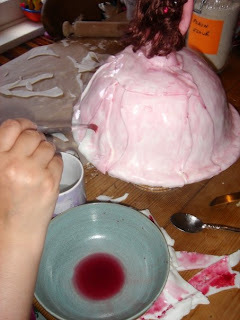 Yes its easy enough to buy one but to spend time and energy creating something just for one person is lovely. 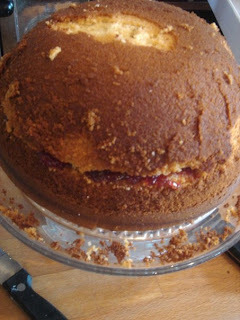 If you are having to watch your budget making somene a birthday cake can act as a great gift and the sillier the cake the better. 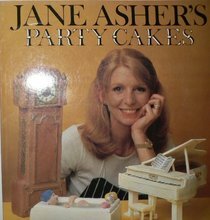 My favourite book for cake making inspiration is an old one by Jane Asher called "Jane Ashers Party cakes" My mum (who is the best cake maker ever) used it a lot for inspiration and has now pased it to me. 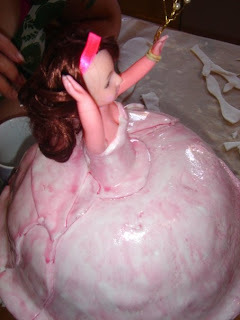 I used some of her idaes when I made this birthday cake for my little girls birthday. 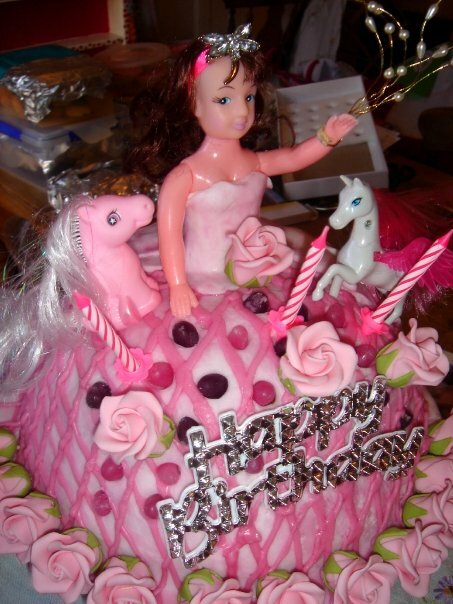 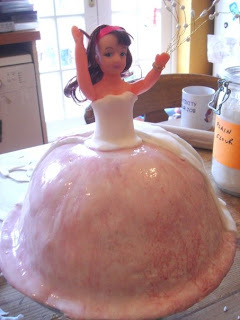 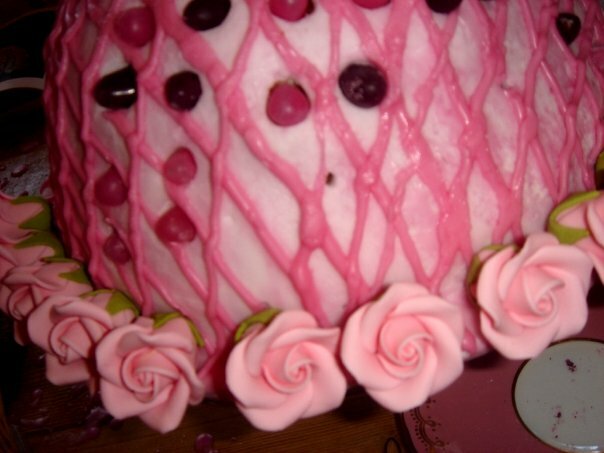 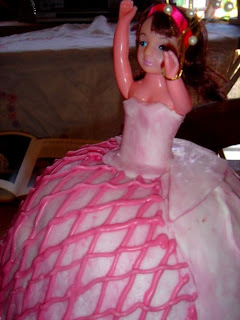 So here is how I made a classic princess Birthday cake. 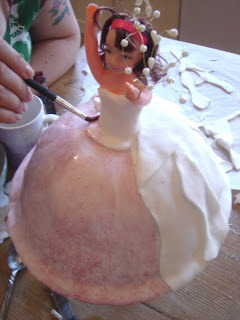 I have made at least two versions of this for my daughter and one for a good freinds birthday last year. 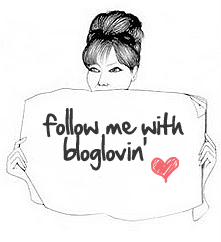 Its so easy. 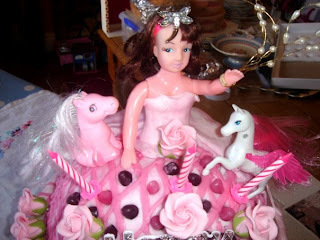 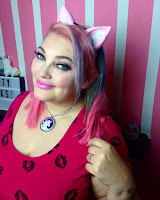 I then added the Happy Birthday decoration, more roses and candles oh and as the whole thing just wasnt looking camp enough for my tastes and my little girl is obsessed with My Little Pony at the moment I also added flying pink horses and a jaunty flapper style head dress for the doll.